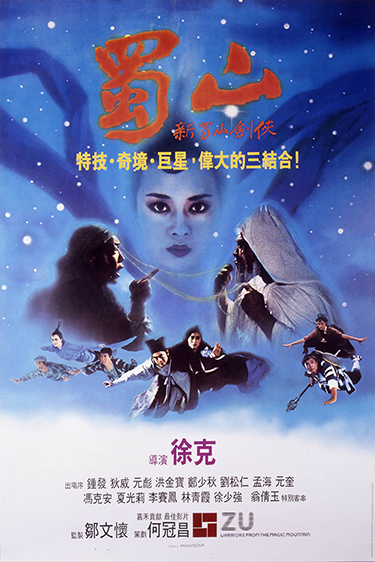 With a stellar cast and breathtaking visual effects, Tsui Hark’s offbeat sci-fi fantasy film, Zu: Warriors from the Magic Mountain completely breaks away from the style of traditional wuxia films before it. Set in a time when the forces of evil have unleashed themselves to kill and conquer, and the forces of righteous immortals are woefully splintered and vulnerable, swordsman Ti Ming Chi (Yuen Biao) flees to Heaven Realm to search for two celestial swords which can give out immense power when they are combined, ultimately stopping the impending arrival of an all consuming evil. Allied with his reluctant Master Ting-Yin (Adam Cheng), and aided by a band of heroes, a deadly battle among humans, immortals and evil spirits soon erupts.